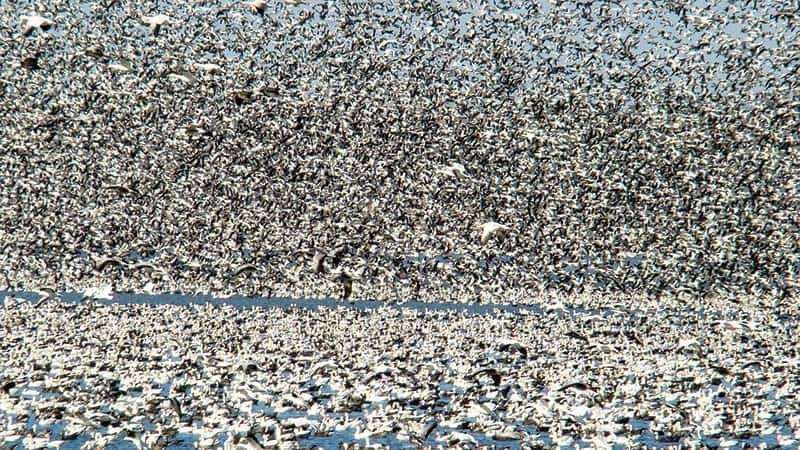 Songster Frankie Laine might have been swooning about Canada geese in Cry of the Wild Goose, but certainly not snow geese. Numbering in the millions, lesser and greater snow geese are destroying the plant life and supporting soils of their breeding and nesting grounds in the fragile Arctic and sub-Arctic environments of Canada. Snows are proving equally destructive of agricultural crops as they migrate down into the United States and loaf around in their wintering grounds. 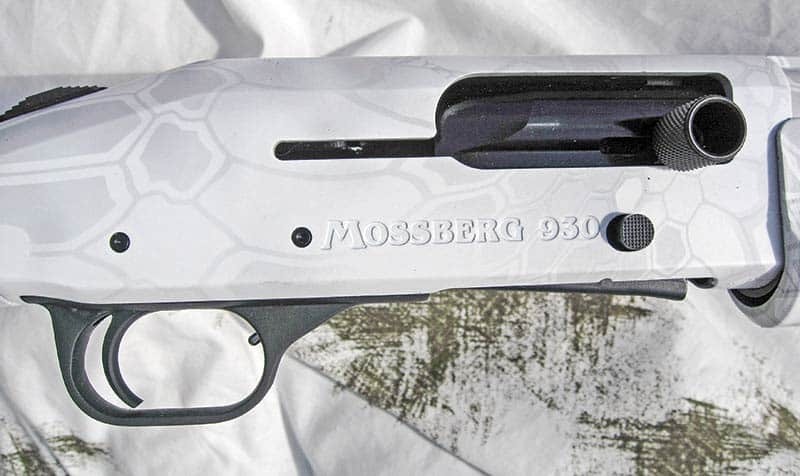 Mossberg’s Snow Goose M930 defines “purpose built.” Literally. The extended magazine holds up to 13 shells, 11 if you opt for 3" magnums. The answer? The U.S. 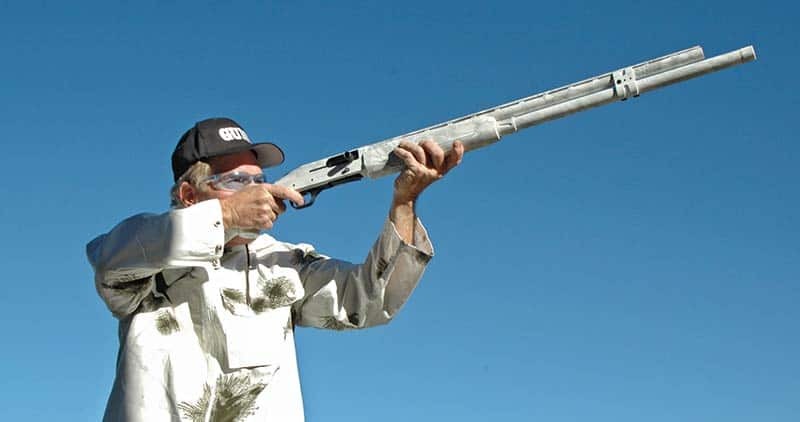 Fish and Wildlife Service decided to allow sport hunters to kill as many adult, breeding snow geese as possible and drew up a “conservation order,” reinforced by a Congressional bill, virtually defining the design elements of Mossberg’s distinctive Model 930 Snow Goose 12-gauge autoloader. The order approved the use of unplugged shotguns, approved the use of electronic game calls, approved extended hunting hours and approved an extended waterfowl season specifically for the taking of snow geese during their fall and spring migrations. If ever there were a purpose-built field gun, the M930 Snow Goose with a 28" ventilated rib barrel is it. Unplugged? You bet. This baby will hold thirteen 2-3/4" shells or twelve 3" magnums. Why Mossberg doesn’t offer the Snow Goose on the 3.5" chambered platform of the Model 935 does puzzle me. My hunch is they just wanted to stuff as many shells as possible into the snarky extended magazine tube to give the snow goose hunter maximum firepower when the flocks come in. The snow goose game is simple: Down as many of those big white honkers as possible in the shortest period of time! They travel in colony-sized flocks so speed-shooting counts and there’s no doubt the Snow Goose is up to the job. It’s truly a killing machine and I would certainly have it loaded with 3" magnums holding 1-1/4 oz. of steel BBs at 1,400 fps or 1-1/8 oz. of steel BBs at 1,550 fps. The visual impact of the gun is head turning. At the last SHOT Show I was strolling by the Mossberg exhibit when, “Wham!” The Snow Goose just stood out from everything else and just kind of jumped into my hands. The white-gray Kryptek Yeti camouflage finish of the synthetic stock is ideal for a winter blind and blends in perfectly in cold environments. In fact, if you lay this gun down in a snowy field, you better remember where you put it. The idea of the factory-fitted and finished extended magazine tube really appeals to me. There are a lot of extension tubes out there for owners to mount on their existing guns but given the need for a perfectly balanced extended magazine spring, they don’t always feed reliably nor are they finished to match the camouflage of the gun. 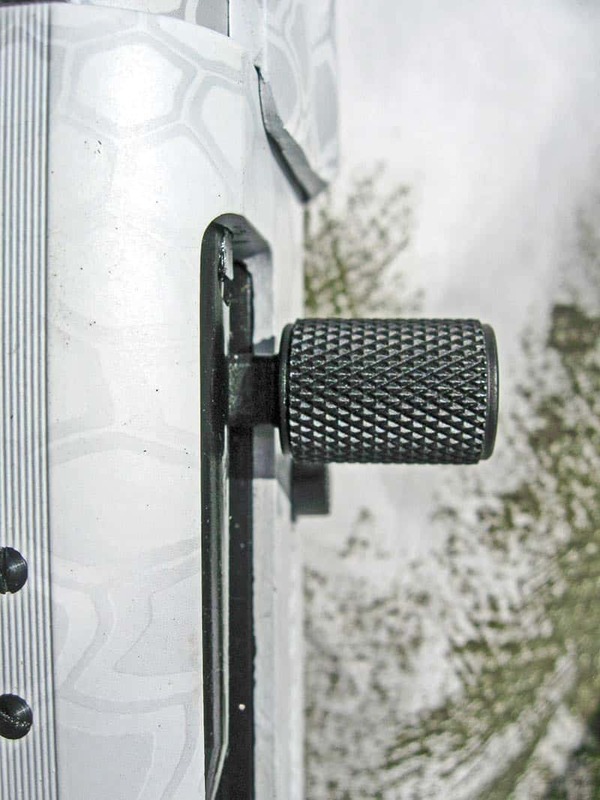 The oversize operating handle (above) comes in handy when the hunting gets wet and cold. The Snow Goose is based on Mossberg’s rugged Model 930 autoloader (below). It handles 2-3/4 and 3" shells. With the bolt closed, place the tang safety on. Turn the gun upside down and depress the elevator with your thumb and then press and release the bolt-release button, which pops one shell at a time into your hand. It’s a fast unload and a lot safer than cycling the shells through the action. The Snow Goose is actually a 2-for-1 gun. It’s designed to be an unplugged snow goose killer as well as a legal waterfowl and upland game gun. Mossberg thoughtfully made the Snow Goose factory extension tube easy to remove with a threaded joint just forward of the barrel clamp bracket. In their accessory packet, Mossberg provides the conversion parts — a new spring, magazine cap and 3-shot plug to fit the resulting normal length magazine tube. Mossberg also includes three choke tubes (F, M, IC), a choke tube wrench and a complete stock shim set. With a dry weight of 7.75-8.25 lbs. 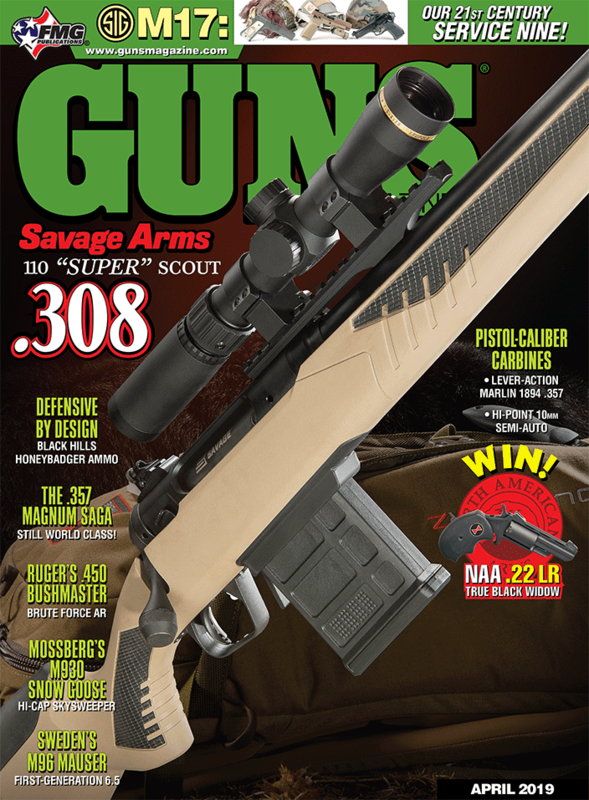 and an overall length of 48.5" to 52.5" (depending upon whether or not the extended magazine is installed), the Snow Goose is a versatile rendition of Mossberg’ s proven Model 930 autoloader. It carries an MSRP of $1,022 but I’ve seen it offered for a lot less on the street. If you think the recent waterfowl season was just too short, grab a Snow Goose and use it for its intended purpose. Snow goose hunting is great sport and you’ll also be doing your bit for conservation!